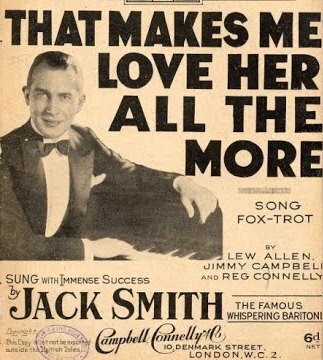 Jack Smith (31 May 1898, The Bronx, New York City – 13 May 1950, New York City) was known as "Whispering" Jack Smith and was a popular baritone singer in the 1920s and 1930s who made a brief come-back in the late 1940s. He was a popular radio and recording artist who occasionally appeared in films. Smith was born John Schmidt and began his professional career in 1915, when he sang with a quartet at a theatre in the Bronx. 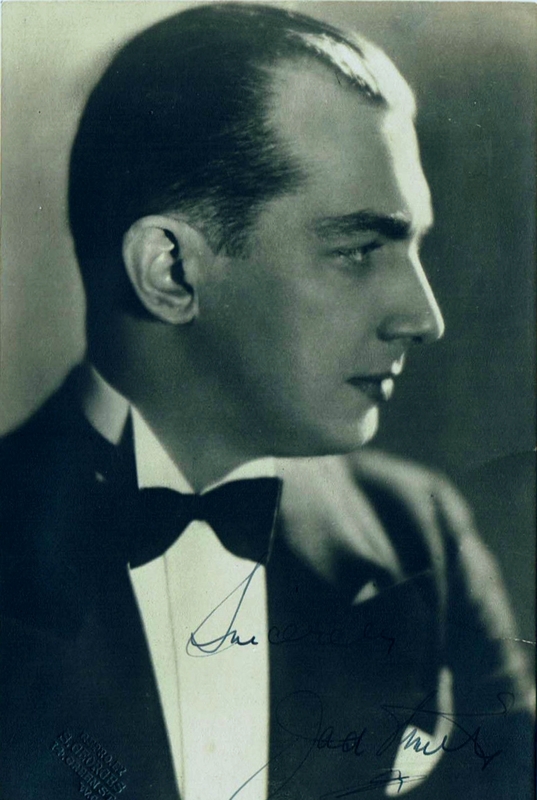 After service in World War I, he got a job in 1918 as a "song plugger" for the Irving Berlin Music Publishing Company. He was a pianist at a radio station when he got his singing break substituting for a singer who failed to show up. 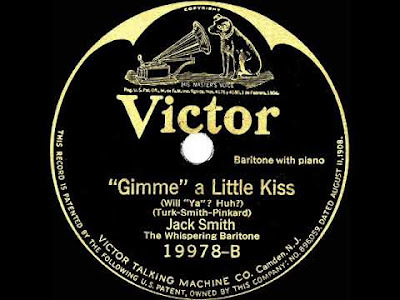 Beginning in 1925, Smith generated a steady stream of Victor and HMV recordings in the U.S. and in London, where he performed periodically in stage revues. When he wasn't accompanying himself at the piano, Smith relied upon someone else to tickle the keys or strum a guitar. His 1926 recording of "When the Red, Red Robin Comes Bob, Bob, Bobbin' Along" featured special guest whistler Carson Robison. Smith also sang with various society dance orchestras. Smith's biggest hits were "Gimme a Little Kiss, Will Ya, Huh?" and "Me and My Shadow." 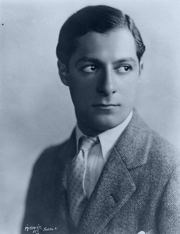 He made his London debut in the Midnight Follies at the Hotel Metropole in 1926 singing tunes such as "Manhattan" by Rogers and Hart and songs by Gershwin, when he was suddenly replaced by a new all-girl singing trio, the Hamilton Sisters & Fordyce. 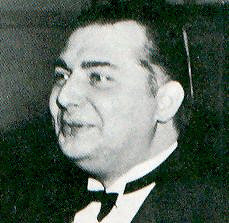 Smith returned to New York and eventually went to work for NBC Radio. 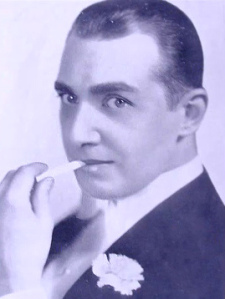 Smith was back in England for the opening of Will-o'-the-Whispers at the Shaftesbury Theatre on April 4, 1928, and performed in front of enthusiastically receptive audiences in Berlin during August of that year. He had a very distinctive style which was a combination of singing and talking in a very "intimate" way using the microphone very effectively as opposed to "belting" the song out. His "whispering" style of singing was a result of a World War I injury from poison gas that kept him from singing at full volume. He made the "whispering" style popular, and there were a number of imitators. Smith took to the relatively newly invented microphone, and it was singers like "Whispering" Jack Smith and the early "crooners" who developed the use of this "modern" technology. Smith’s "disarmingly intimate, polite, and velvety smooth delivery … distinguished him from everyone else." One reviewer in describing his "whispering" style said that "His art was the epitome of understatement." 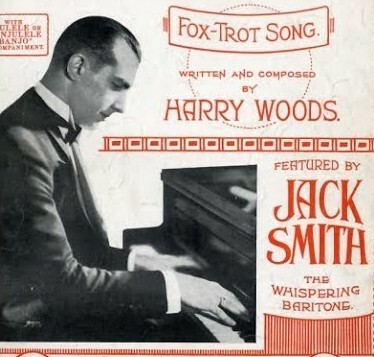 Another indicated, "With a pleasing stage presence, and a genial manner, Whispering Jack Smith establishes contact with his audience just as soon as he sits at his grand piano, and he wins more applause with every song." In 1930 Smith went to Hollywood, where he appeared in one of the first talking motion pictures, Cheer Up and Smile, during which he sang "You May Not Like It -- But It's a Great Idea." Whispering Jack Smith continued to perform throughout the 1930s, although his popularity gradually waned as styles changed. He staged a modest comeback in 1940 and made a handful of sentimental recordings, but quickly lapsed back into a rather early retirement.